Mt. Bachelor holds this one-of-a-kind event inspired by none other than legendary surfer and Mt. Bachelor Ambassador, Gerry Lopez – who is the event host! 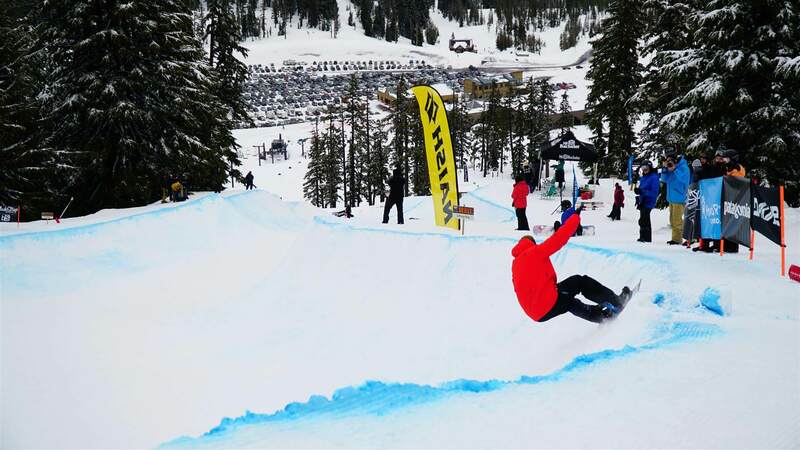 This snowboard only event introduces the idea of applying the surf style to Mt. Bachelor ski resort. If you’ve ever ridden Mt. Bachelor you’ll notice that the topography and weather lends itself to give you that feeling of riding a wave instead of the normal terrain you’d see at other mountains. More than $25,000 in prizes! Open division winners take home a custom Gerry Lopez surfboard and one week at the Volcom Pipe House! The Big Wave Challenge will be accompanied by a luau with traditional luau cuisine along with live music featuring Bend’s local Hawaiian musician, Bill Keale. Spread the aloha love and come dressed in luau attire!